How do I integrate with Zapier? Besides having tons of built-in integrations, we also allow you to connect with Zapier to do more things with your data and connect to more tools that we don't have direct integrations with. Zapier allows you to pass data from VYPER to a 3rd-party. 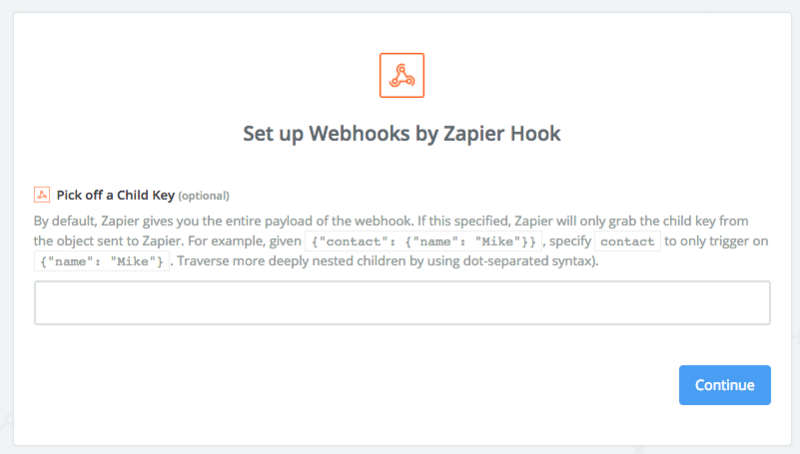 We use Zapier's "webhooks" to send data to Zapier, which you can then send to most email marketing services. In this example, we're going to do an example integration from Zapier to Hubspot, so you can see how we pass data to Hubspot using Zapier. Step 2 - Make a Zap! After you signup (or login) click on the orange button on the top right labeled "Make a zap!" I chose a descriptive name "VYPER to Hubspot" for this example. You should use something like VYPER to <your email marketing service> to make it easy to remember. Now on the following page, in the search bar, under "Choose a trigger app", type "webhook". The first suggested result will be "Webhooks by Zapier". Click on it. In the next step choose "Catch Hook" and click "Save + Continue". In this screen leave the field blank and click "Continue". 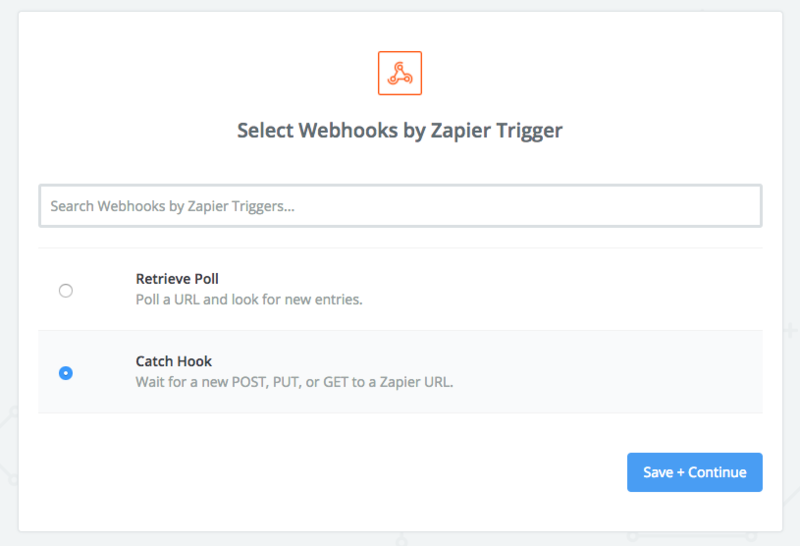 On this page Zapier will give you a webhook URL. Copy THIS URL. Now go back to VYPER and edit a contest. Click the export step on the bottom. On this page you can paste this URL in the area marked "Add a webhook." After pasting the URL, click on the "Send Test" green button on VYPER. We will ping Zapier to notify them that we have set up the webhook and pass some dummy data. Now go back to Zapier and click on the blue button "Ok, I did this." You should see a new "hook" on the page. Click the blue continue button. That was easy right? The next step we need to add an action. This is where you'll integrate your email / marketing service like Hubspot, Intercom, etc. We'll do Hubspot for this example. The link that reads "Your Zap currently lacks an Action step. Add one now!" In this page we'll choose an app. You can search for your app in the search bar. In our instance, we're going to do "Create or Update a Contact." Different apps will have different options here. Step 15 - Now you'll be asked to connect your Hubspot account. For us, we got this popup. Earlier when we did the webhook test, we passed some dummy data. On this page, you can assign that dummy data to the correct fields inside Hubspot. For example, you can map the email to the "contact email" field in Hubspot. The other data passed you can also pass that data (like the first and last name and your custom entries) to the appropriate fields in Hubspot. See that wasn't so bad! Do you have Zapier integration?